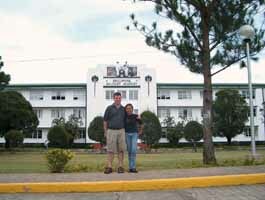 Our next destination, Dulce's hometown, about 6 hours north of Manila. 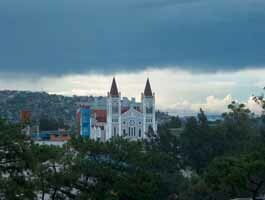 Because it is in the mountains, Baguio is about 20 degrees cooler than Manila and Bicol, making it the "Summer Capital of the Philippines". 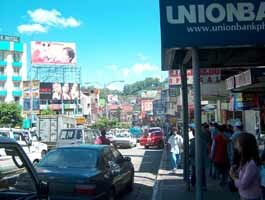 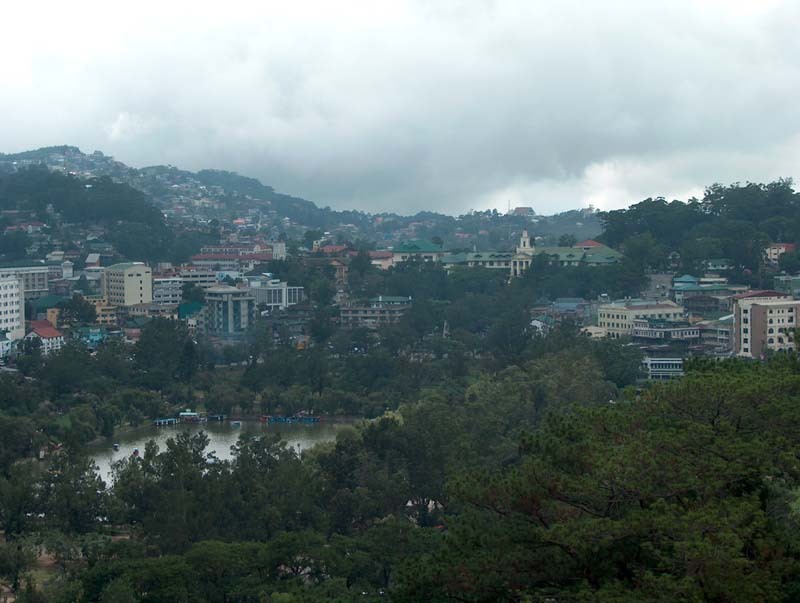 Baguio, with a population of 250,000, is quite the bustling city. 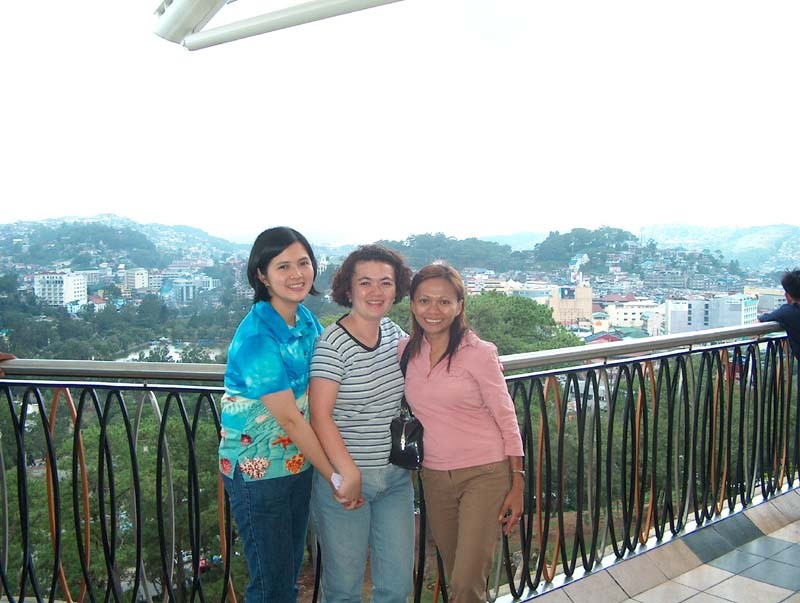 Dulce was reunited with her childhood friends from Baguio. 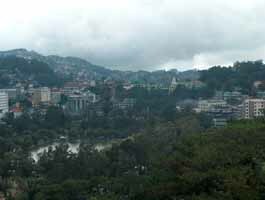 They took really good care of us and made sure we missed nothing in this city. 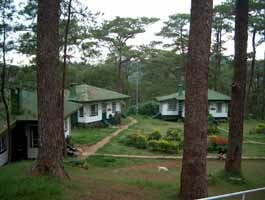 We had a cabin in a former US Goverment R&R camp; the Philippines were a US territory from 1898-1946. 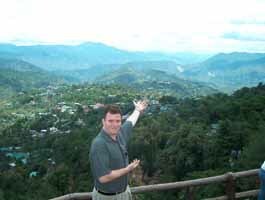 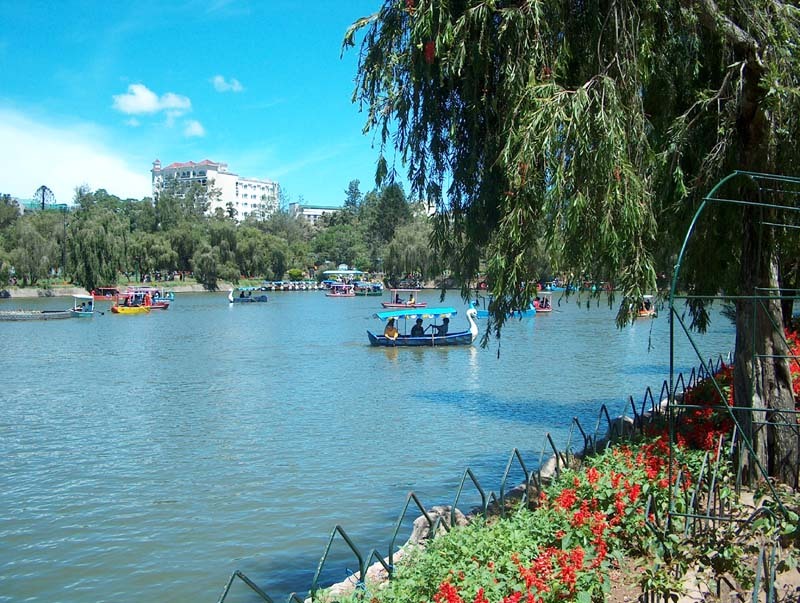 Baguio was designed and laid out by US architect Daniel Burnham. He had the city built around a pond where you can rent rowboats. 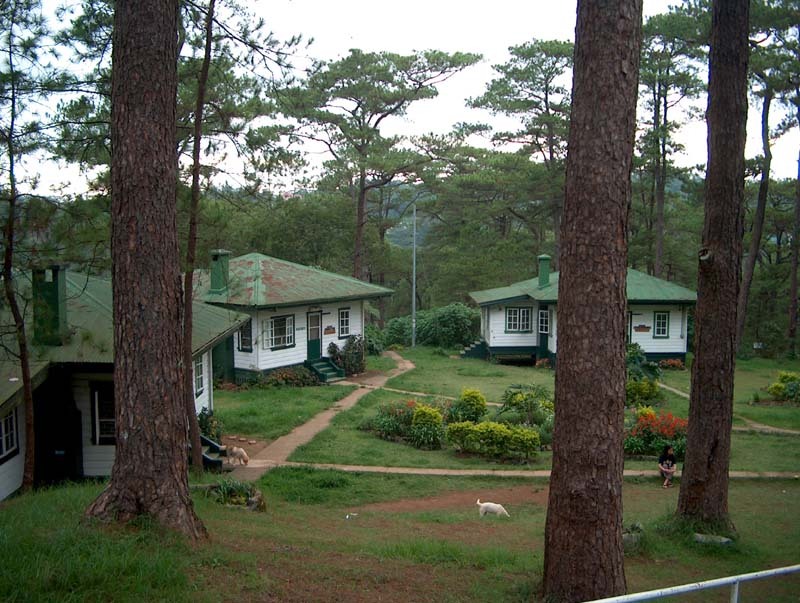 Baguio served as the US Military's Rest-and-Recreation facility during the territorial days. 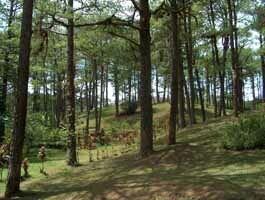 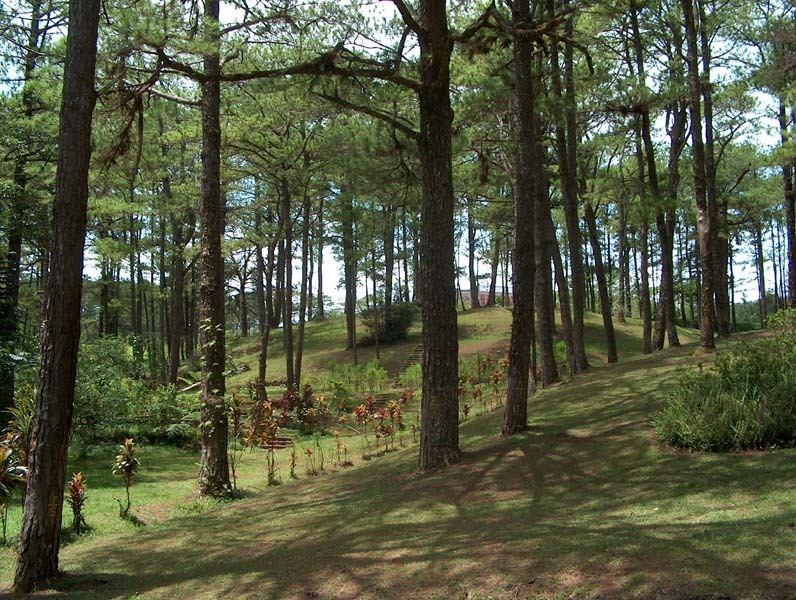 You can see why another Baguio nickname is the "City of Pines". The lookout had terrific views of the surrounding Cordillera mountain range. 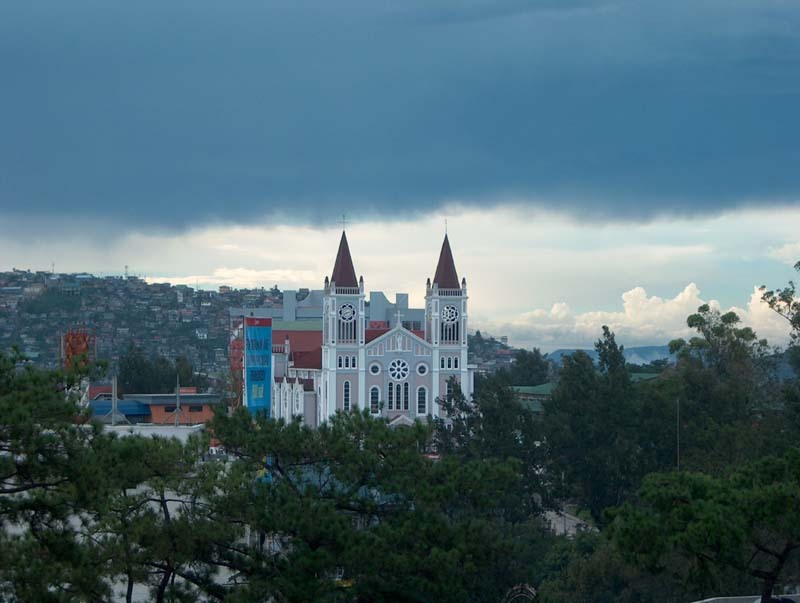 A survivor of the big 1990 earthquake, it's certainly an eye-catching sight on the Baguio skyline. One evening, we had Dulce's friends over at our cabin for a potluck. 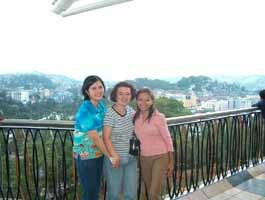 Our way of saying thanks for taking us around Baguio. 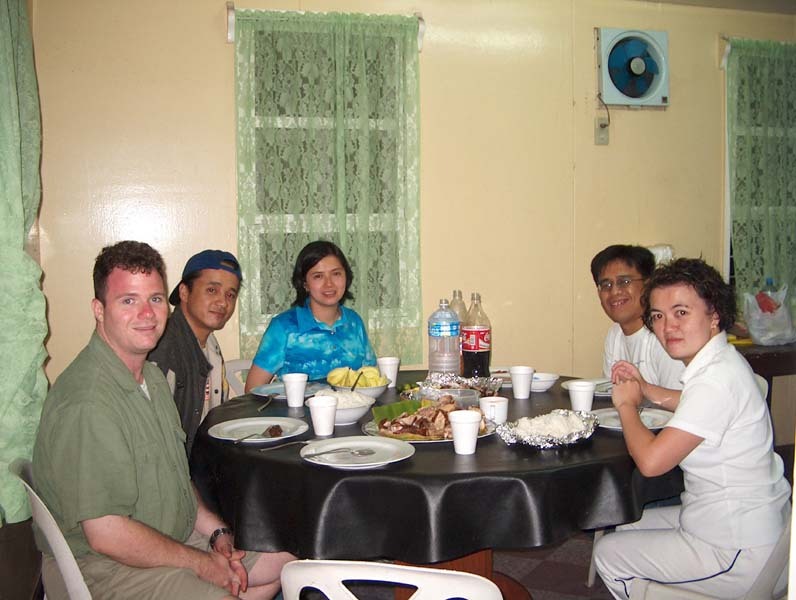 Of course, they ended up bringing all the food, including lechon pork, grilled fish, torta fried eggplants, and fresh green mangoes.